Posted January 23rd, 2012 by Sia & filed under Uncategorized. Every auto manufacturer has that one model in its lineup. The car represents the cream of the crop of the brand, the best engineering, technology and design. Some manufacturers slap complex and verbose badging all over the body, but in the exotic auto world, a discreet, track-proven pedigree is all that is necessary. One of the most recognizable line of crown jewels comes from our beloved Ferrari. It was a quarter century ago that Ferrari introduced us to the F40, a car that turned right off the track into a lucky few driveways and that would prove to be Ferrari’s fastest, most powerful and most expensive car to date. All manufacturers naturally improve on previous generations and appreciate prices, but this was a new move for Ferrari, this was their establishing of their “cream of the crop” model. And as the last car the Enzo Ferrari would commission, there is no doubt that this car was a true statement piece for the automaker. Even better, this car would be a gift that kept on giving as it spawned the F50 and Enzo successors. With a brand like Ferrari it can be a bit hard to conceive that any model be labeled inferior in any way. With three Ferrari rentals in our paddock, the 360 Spider, F430 and 458 Italia, our team and wonderful patrons can tell you what an amazing experience a Ferrari is. In the end, don’t take our word for it, and get yourself in one of those Italian leather seats for an exotic car road trip that you’ll never forget. Back to the F40. Generously clad in carbon fiber, aluminum and kevlar meant a truly lightweight car and an intimate relationship with its twin-turbo V8. And if nothing else proved this model to be range-topping, the $400k price tag made sure you knew. Noted as the “greatest supercar the world had ever seen” by Hammond and Clarkson, this stunning trophy for Ferrari would be succeeded by the F50 and perpetuate the idea of an ultimate Ferrari. Increased to 12 cylinders and dressed in even more aggressive bodywork, the crown jewel gained carats to say the least. One glance at the gaping hood scoops and you know this car has truly exotic intentions. One tap of the acclerator and you at 60 in under four seconds. One push on the window button and…well nothing. This car, like its F40 and Enzo brethren, were tried and true race cars paying no mind to luxuries like power windows, which were often times plastic to reduce weight. 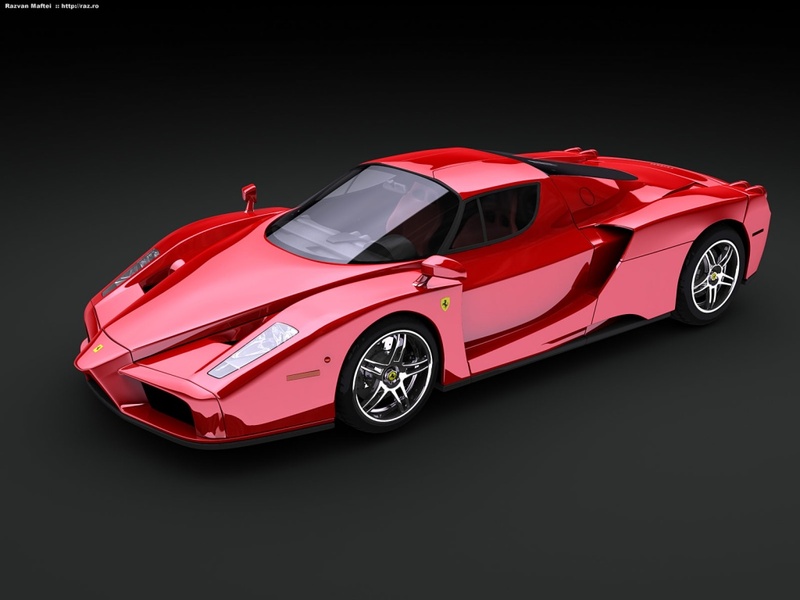 We’d see the F1 styling evolve wonderfully in the Enzo, with the sharp snout becoming more pronounced at the expense of a lesser spoiler visual. Power was naturally increased as was the price (most often traded above $1m), and Ferrari’s range-topping bloodline was officially substantiated. But, the question becomes, which is the best? Such exclusivity forces us enthusiasts to make such a choice. If you can’t make a choice we’re hoping a successor will help you decide, but such a development is a long time coming and in no rush. In the meantime, consider experiencing the next best exotic car from Ferrari, the 458 Italia. Our 458 Italia is the pinnacle of the exotic auto rental experience. But, don’t fret, we have two other Ferrari V8’s waiting patiently just for you.